Is anyone else in shock that Christmas is exactly one week away? I still have presents to buy, cookies to bake, cards to make, and of course I want to enjoy every crazy minute of the holidays. You would think that since I bake so many things all the time, that I would be ready with trays of treats. Not the case! 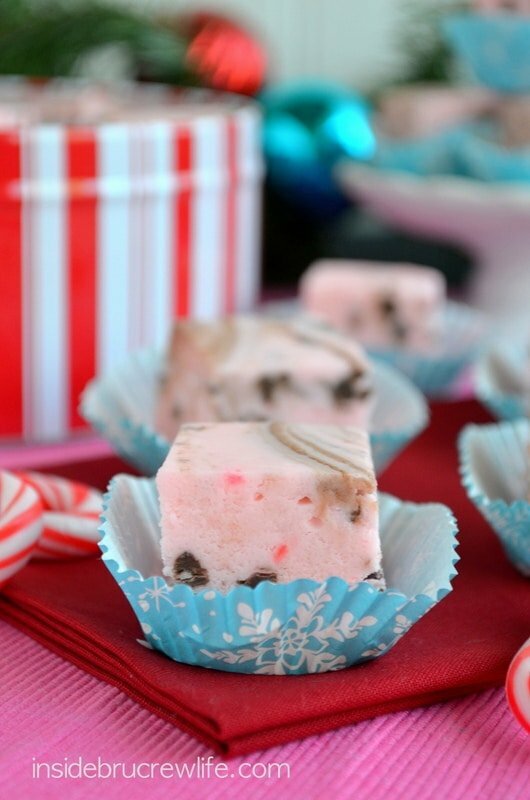 You see peppermint treats started being made here in my house in October. Yes, I know that’s when everyone else started baking pumpkin. But the life of a food blogger is much like a magazine. You see they start prepping those magazines in July, just so they are ready for December. 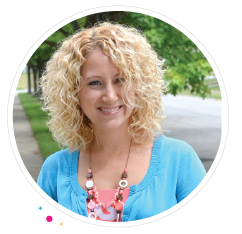 Food bloggers work kind of the same schedule. You see I already have a few healthy recipes made and photographed for January when everyone is starting fresh on their eating clean resolutions. And my brain has completely moved on to thinking about things like cherries and coconut. 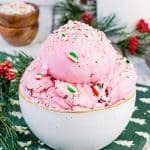 Oh, believe me, my taste buds are still craving the peppermint goodies though! 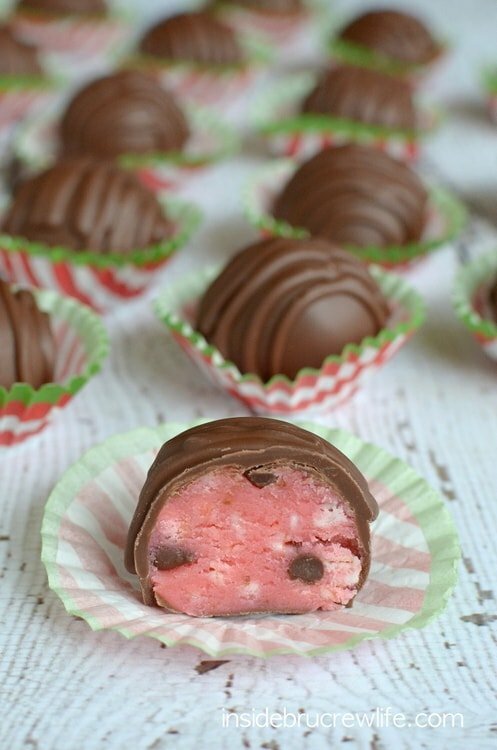 I actually made these fun little cookie dough truffles at the very beginning of December. Then into my freezer they went for when I needed an easy treat for a party. They came in handy this past Sunday when we had 2 choir performances, dinner after church, caroling at the nursing home, and a surprise birthday party to attend. I was so glad I had these little goodies stashed away for a dessert emergency. It freed up my Saturday. A lot of my readers have emailed me wanting to know how I come up with so many treats all the time. Basically my brain never stops thinking in dessert mode. Seriously! 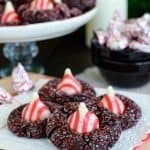 Like right now I am writing about cookie dough truffles, while my brain is totally running wild with ideas for cherry treats. Bed time is the worst. I never fall asleep right away, so you can imagine the thoughts that go through my head as I lay there in the dark. A few times I have actually gotten up and written down some ideas just so I wouldn’t forget. 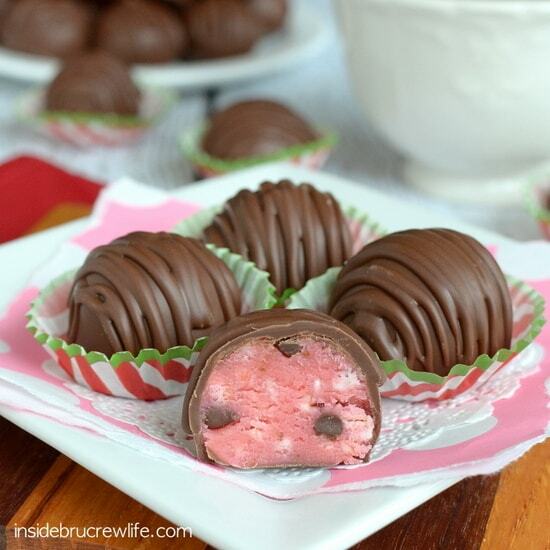 The idea for these cookie dough truffles came from Dairy Queen though. Earlier this month my husband went on a missions trip to Haiti. The night before he left we took the kids for ice cream as a family. DQ has a candy cane chocolate chip blizzard that is pretty amazing. My hubby and I shared one in a chocolate dipped waffle cone. Right away I knew that flavor needed to be recreated. A few days later I put it into a fun no bake cookie dough truffle. The blizzard is pink, so I went ahead and tinted my dough pink with some food coloring. If you have a problem with eating pink food, just leave it out. 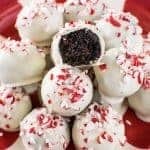 An easy no bake cookie dough truffle made with peppermint extract and candy cane pieces for the holidays. Cream together the butter and sugar in a large mixing bowl. Beat in the sweetened condensed milk and peppermint extract. Slowly add the flour until combined. Add a little bit of gel food color with a toothpick and stir until you get the desired color. 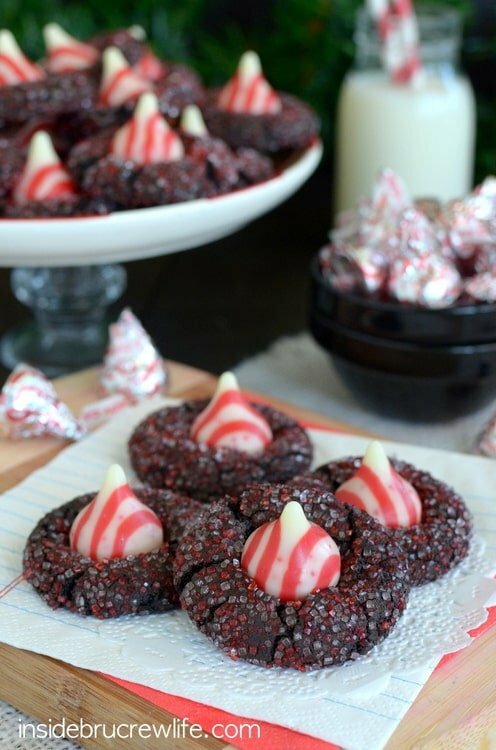 Stir in the chocolate chips and candy cane pieces by hand. Roll the dough into 72 even balls. Place on a baking sheet covered with parchment paper. Freeze for at least 30 minutes. Melt the chocolate according to the package directions. Stir until melted and creamy. Use a toothpick to dip the truffles. Place on the parchment paper. Twist out the toothpick. Let set. Repeat with all the truffles. 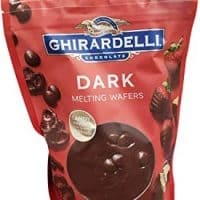 Spoon the leftover chocolate into a plastic baggie. Cut a small tip of one corner. Drizzle over the truffles to hide the toothpick mark. Let set completely. Store in a sealed container on the counter or the refrigerator. These can also be frozen for later. I’ll do whatever you need if you are paying in desserts! Seriously would take a big batch of these! All u can say is wow oh WOW!! These look so amazing! 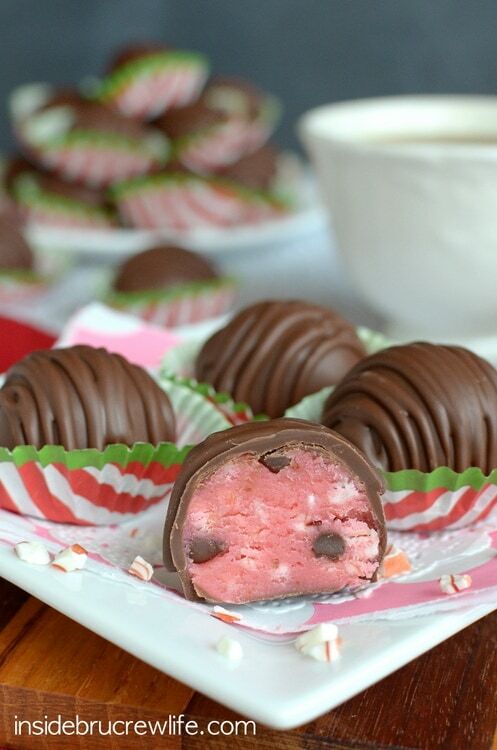 I love cookie dough truffles and the addition of the peppermint is a fantastic idea! 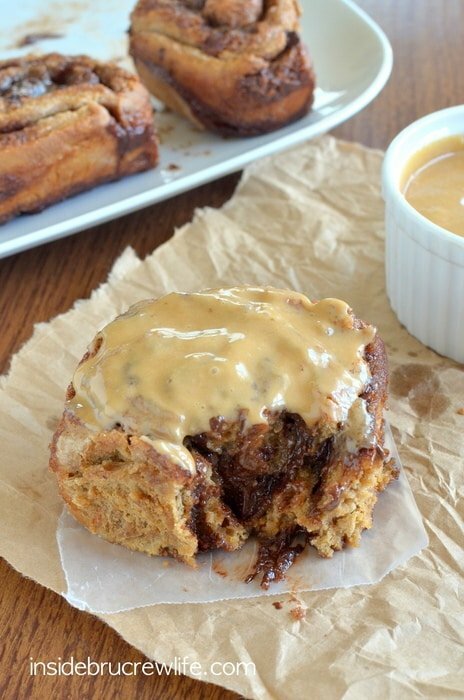 oh my gosh…I bet these are AMAZING!!! Sharing! These look so fantastic, Jocelyn! I love candy cane anything this time of the year! Pinning and Happy Holidays to you and your family! And I must tell you, I was just skipping over to the fudge recipe here, and read what you wrote about last year’s Newtown tragedy, and your words of compassion were overwhelming to me. Many blessings to you and your family. 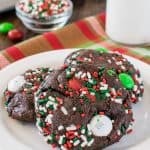 So glad to know that I am not the only one who can’t sleep due to recipe ideas! I’m constantly picking up my phone and adding them to my never ending idea list I have going in there! These little truffles are everything that I could possibly ever want in one sentence. 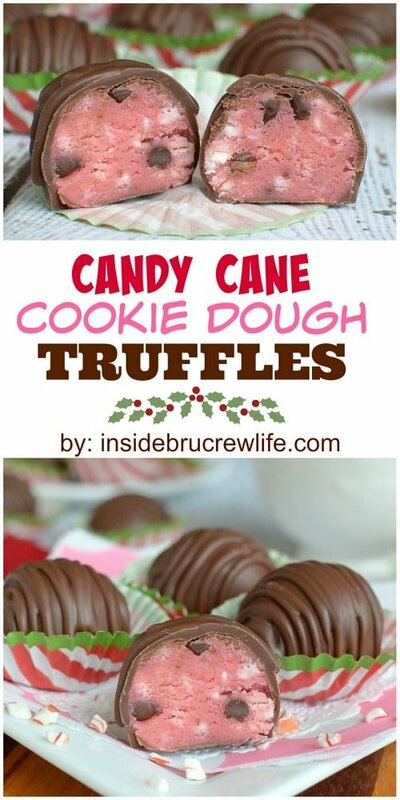 I don’t know that it get’s much better than candy canes, cookie dough and truffles! Yum! I agree with Kelly … ‘pretty in pink’ could be their name! Love the colors and flavors! I would have to hide them in the freezer behind the vegetables … no one ever looks there! Love how unexpected these are. 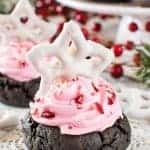 They look like regular chocolate truffles until you bite into them and see that gorgeous pink color…so festive! YUM! These look delicious as well as beautiful! Yum! 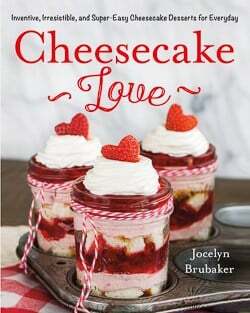 This looks delicious, Jocelyn! I’ve been wanting to try the blizzard but I think these might place higher on my list of things to try now! 🙂 Hope you have a blessed week leading up to Christmas! 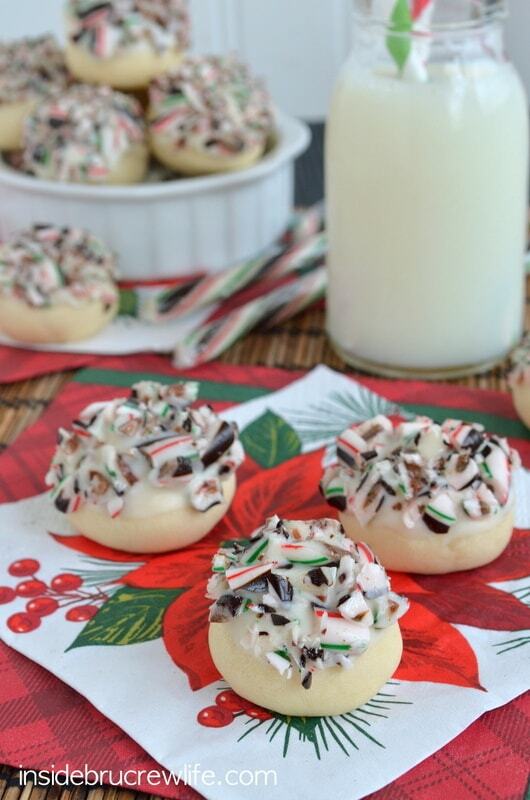 Cookie dough, truffle and peppermint in one – YES! So pretty Jocelyn! Those are beautiful and I love hearing how you come up with the ideas! These look so yummy!! they remind me of my first job in high school, at a Fannie May candy store! Jocelyn, I am always amazed at how quickly you turn out such beautiful treats! It doesn’t surprise me that your brain is working on dessert 24/7!! I love these truffles! They are so creative and festive! Is there a substitute you can use instead of the shortening in the candiquik? CandiQuik does not actually need any shortening. Just follow the package directions for melting it. I like to thin it out with shortening so it coats smoother. 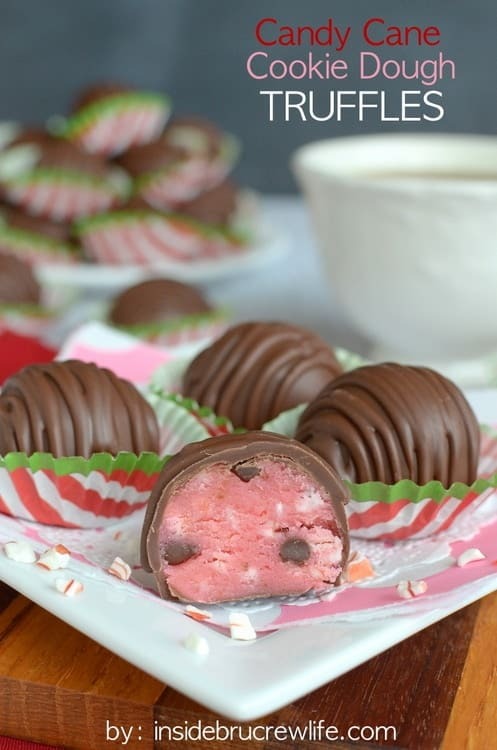 I made the candy cane cookie dough truffles friday night and they were a big hit at the christmas party I went to! 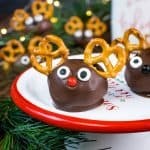 Will be making these every christmas season now, they are outstanding! Thank you, you so talented!